The average car weighs under 3,000 pounds, and even a monster SUV tends to come in at less than 5,000 pounds. A transit bus, on the other hand, can weigh anywhere from 20,000 to 33,000 pounds depending on seat capacity, and up to 44,000 pounds fully loaded. When a 22-ton bus collides with a 2-ton car, even at relatively low speeds, the results can be catastrophic to the occupants of the far lighter passenger vehicle. Bus accidents can cause serious injuries, and bus accident claims can be complex and hard to win. If you have been injured in a bus accident in Orange County and Sullivan County, contact Ingber & Provost to discuss your case. Our Bloomingburg bus accident attorneys have the knowledge, skill and abilities to get you the compensation you need to deal with the harm caused to you by the bus company’s negligence. 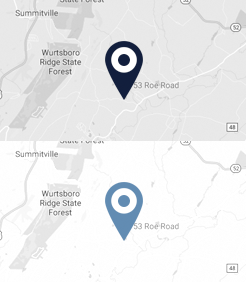 Whether you are riding the Short Line bus route as a daily commute between New York City and your home upstate, hopping on a local from the Sullivan County Transportation Department for shopping and appointments in Monticello, or riding a Trailways charter for a weekend excursion, our bus accident attorneys provide strong and vigorous representation for a full and fair settlement of your claims. Because of the large size and weight of buses, they pose many hazards to others on the road. It is up to bus drivers and their employers to see that drivers are well-trained in traffic safety and that they are conscientious of the limitations of their bus and the dangers it presents. For instance, buses require more stopping distance and reaction time to avoid an accident than lighter cars do. Also, buses have considerably more and larger blind spots due to their size, so bus drivers need to take care and signal when pulling away from the curb into traffic, or when turning or changing lanes. Bus drivers who speed to make up time and stay on schedule put their passengers and other drivers on the road at risk, as well as bicyclists and pedestrians who often travel close to the curb alongside busy bus routes. Driver fatigue is a well-known risk among safety experts, and recent research has shown that drowsy driving is as dangerous and likely to cause a crash as drunk driving. Bus drivers are particularly susceptible to fatigue. Not only do they drive long shifts, but the mental stress involved with bus driving, whether in crowded city traffic or on winding country roads, takes a serious toll on mental alertness. Drivers of tour buses and charter buses that drive through the night on all-day outings or weekend excursions to casinos and Catskills resorts can be even more susceptible to being lulled by road rhythms and falling asleep at the wheel. Bus accident claims can be difficult cases to pursue. Often, the injuries involved are very serious, requiring a complicated analysis of the injury victim’s long-term medical needs and other costs for care and quality of life. Bus companies and their insurers may be facing multiple claims and attempting to pay as little possible to protect their financial interests. Finally, when bus accident claims involve counties or municipalities, complex legal procedures and short timelines make the claim more challenging than typical negligence cases. At Ingber & Provost, our Bloomingburg personal injury attorneys know how to prepare a strong case proving the extent of your legal damages and the bus company’s liability for your injuries. We put decades of experience in accident and injury claims to work for you and strive to achieve the best settlement possible in your Sullivan County bus accident claim. If you have been injured in a bus accident in Orange County or Sullivan County, call Ingber & Provost at 845-733-2720 for a free consultation on your claims. There is no fee unless and until we recover for you.